HAPPY MARE is formulated by leading nutritionists to satisfy the high nutrient levels required by pregnant and lactating mares. 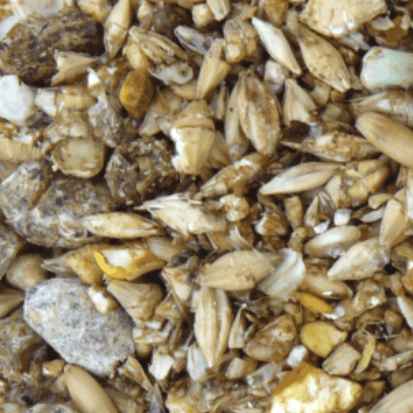 This meal is also suitable as a foals first feed before being introduced to a weanling mix. 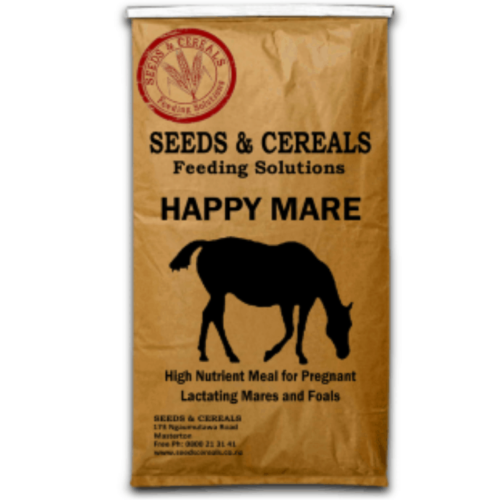 HAPPY MARE includes important antioxidants, protein, starch, vitamins carbohydrates, rich soluble fiber, natural omega 3, 6 & 9 fatty acids plus calcium, sodium, phosphate and trace elements. 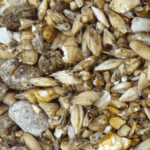 Maize, Barley, Peas, Oats, Soya Meal, Limestone, Salt, S&C Rye Pellets, Performer 3 Oil, Dicalcium Phosphate, Minerals and Vitamins.